after spending about 38 years with the General Electric Company, I retired in 1963. The last 20 years with the company was in the East, so in ‘63 we moved back to California and I set up my machine shop, electronics laboratory, and became interested in recreating the history of the three main, early, commercial wireless stations on the West Coast. KPH, which I think is by far the most important of all; KFS who was a competitor, and NPG, which is sometimes called the NAA of the West Coast because of the similarity in transmission equipment used at NPG and also at NAA. Wireless communication in the United States : the early development of American radio operating companies, prepared for publication by Arthur C. Goodnow, Robert W. and Nancy A. Merriam (East Greenwich, R.I. : New England Wireless and Steam Museum, c1989). Mayes was able to draw on his many friends and contacts within the amateur radio and electronics community for his research. 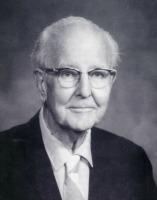 As part of his work, he recorded a large number of interviews with names familiar to students of early electronics, particularly in the Western United States, including Ralph Heintz, Haraden Pratt, Richard Johnstone, and Robert Palmer. Mayes also recorded many of his talks at amateur radio associations. These recordings are part of the Perham Collection of Early Electronics, and the majority of these interviews and talks have been transcribed by History San Jose. A full list of recordings is available below, and copies of transcripts can be requested through the Curator of Library and Archives (research @ historysanjose.org).